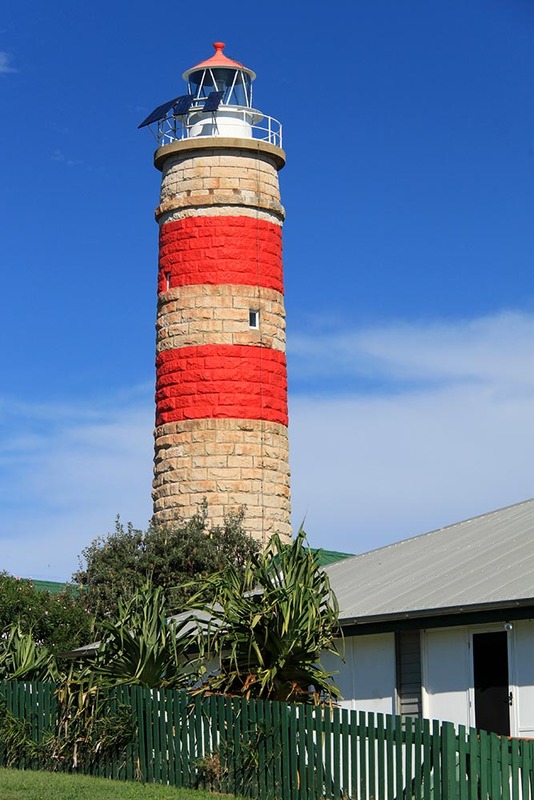 Cape Moreton Lighthouse | Lighthouses of Australia Inc.
Cape Moreton was the first lighthouse to be built in Queensland, but was not the first lighthouse built by the Queensland government, indeed it was built as a New South Wales light in 1857 before Queensland became a separate colony. It was built because of the increasing traffic to the northern coast , but for a long time was the only light on the 3,236 miles of coastline. The entrance into Moreton Bay, near the island, is scattered with wrecks that attest the notoriousness of the bay. 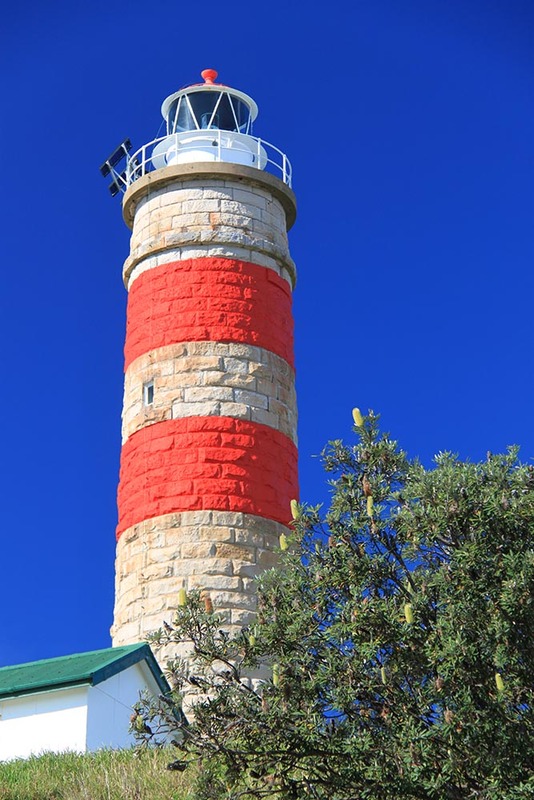 The tower is constructed of sandstone quarried on the island. 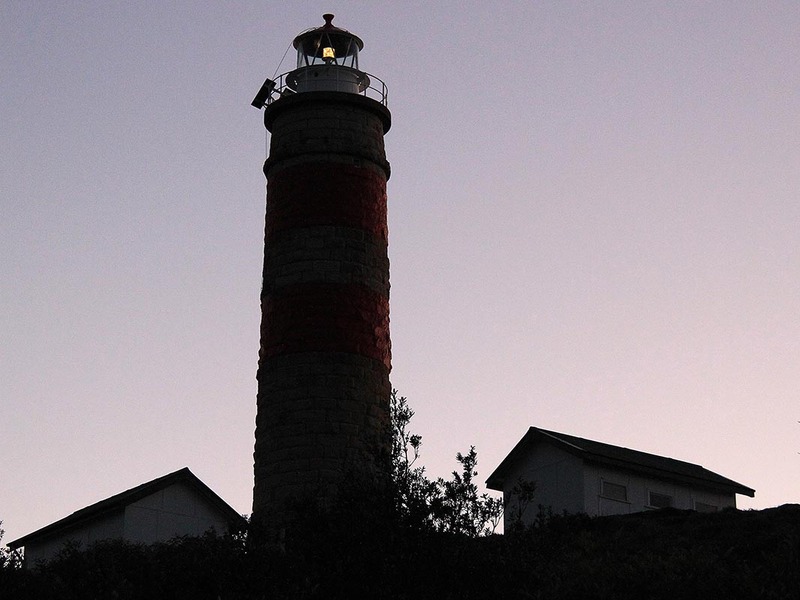 It stands on a rare rocky promontory on a sand island. The tower was extended in 1928 and is now 23 metres. The original light source oil wick. It was converted in in 1930 to pressurised acetylene gas. This installation did not continue for long as in 1937 the apparatus was converted to 240v electricity. Solar conversion took place in 1993. 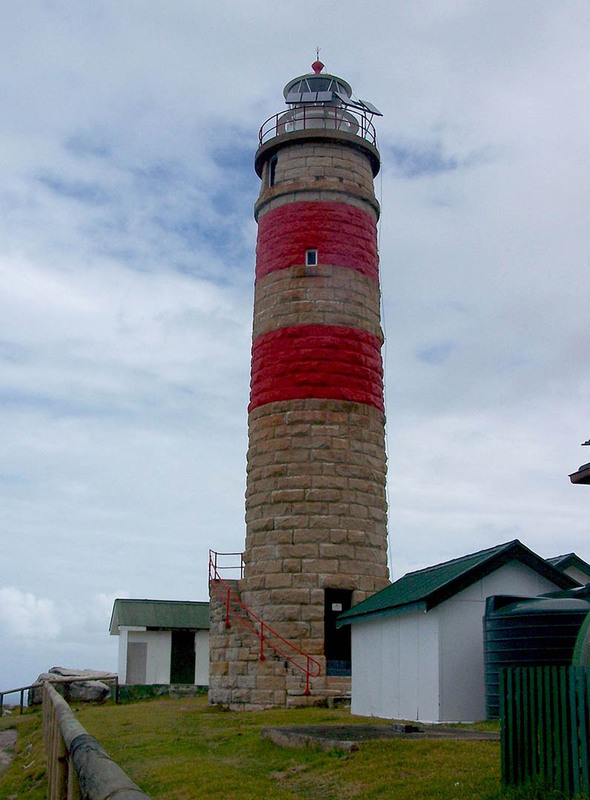 The lighthouse is on the northern point of Moreton Island. On the west side of the island is Tangalooma which was also once home to Queensland’s first and only whaling station from 1952 to 1962. This former whaling station has now been converted to a small resort and caters mainly for day trippers from Brisbane. 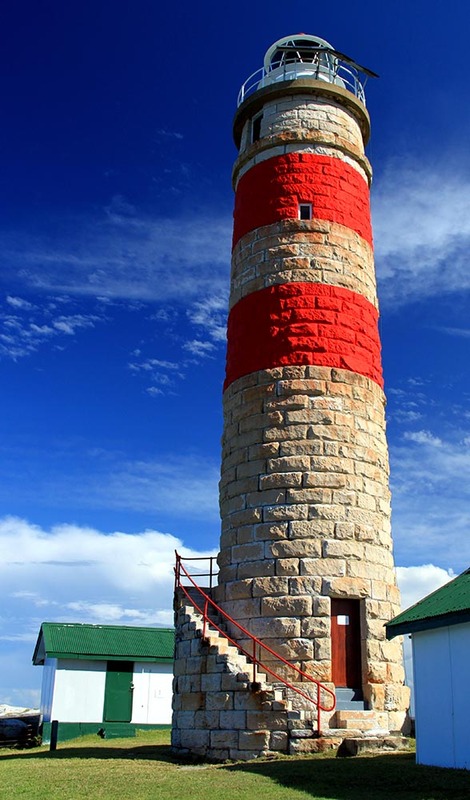 On 1 July 1915, Cape Moreton passed from State to Federal control. 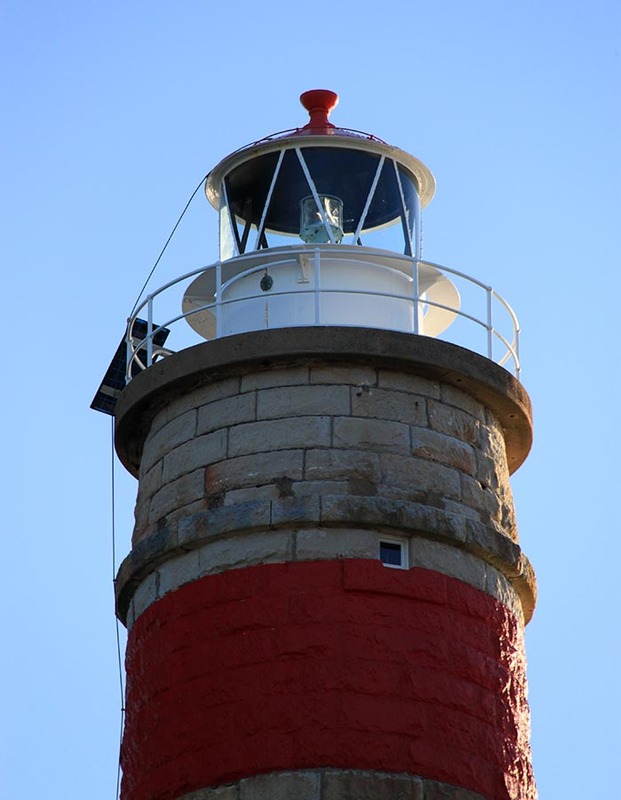 Construction Sandstone tower, 2 red bands and cupola. Chance Bros. special size 7'1" Dia. lantern with curved lantern panes.